Discuss the basics of rainwater harvesting as a renewable resource. Specify the many interior and exterior uses of rainwater in buildings. 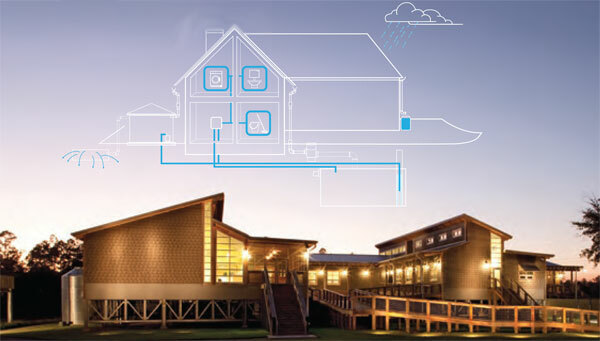 Identify the components of an integrated rainwater harvesting system. List community benefits of rainwater harvesting systems. While developing Detroit's new Sugar Hill district renovations, Diane Van Buren, project planner and sustainable design coordinator at Zachary and Associates, has shown concern about the environment. Her focus has been on developing housing that will meet today's needs while still planning for the city's sustainable future. In order to meet her environmental targets, she has volunteered to be part of a new Detroit Water Sub-committee (WSC), a unit of city council member Ken Cockerel's Green Task Force. This committee has a framework of key issues that include developing community outreach, water conservation strategies and best management practices. The WSC is currently proposing downspout disconnection as an amendment to the City code in order to reduce the burden on the city's aging infrastructure that still has a combined stormwater and sewer system. In the Sugar Hill District, approximately 950,000 gallons of rainwater will be collected from three rooftops and channeled through the small district for a variety of uses, including ponds and cisterns. The developers are seeking financing for the project through tax-increment financing allowable under the State of Michigan guidelines for stormwater control. This project will also highlight rainwater in sculptures to involve artists and the community in this new arts entertainment district. The challenge for these developers is to find the best design solutions for storing and distributing stormwater. 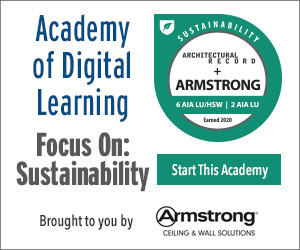 According to G. Edward Van Giesen III, ARCSA Registered Professional, MLA, policy coordinator for BRAE Rainwater Harvesting Systems, "a growing number of cities and states are rewriting their codes and making rainwater harvesting an essential part of their sustainability goals." Design professionals can no longer create impervious surfaces independent of the variety of environmental effects that these surfaces cause. This represents a paradigm shift from thinking of water as something merely to get rid of to one that gives greater value to water and understands its intrinsic connection to the built environment." Diagram illustrating rainwall harvesting system (top); The Grand Bay Coastal Resources Center in Moss Point, Mississippi obtained the USGBC LEED® GOLD rating in 2010 thanks in part to its rainwater harvesting system (bottom).